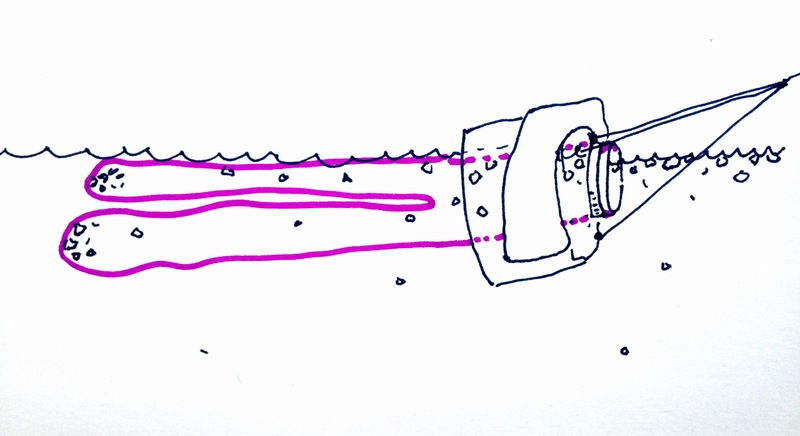 Meet #BabyLegs, a plastic pollution technology built from the ground up. In March, #BabyLegs had her first taste of marine plastics in a raw sewage outflow from a rural out-port community in Newfoundland, Canada. We caught microplastic fibers from kitchen scrubbers and fiberglass strands from cigarette filters. Both this $12 technology and the $3500 manta trawl that is usually used by scientists are designed to collect fragmented floating plastics by skimming along the water’s surface, allowing plastics to be captured in a fine mesh net—or baby tights, in this case. Collecting, counting, and typing plastics are the first steps in understanding the extent of plastic pollution in specific areas; in Newfoundland, where I live and work, there is almost no information on the state of marine plastics, even though the province’s cultures and livelihoods are focused on the ocean. Made from baby’s tights and soda pop bottles, #BabyLegs is the most charismatic of a series of low cost, open source, do-it-yourself technologies from the Civic Laboratory for Environmental Action Research. We develop accessible environmental monitoring technologies with students, fishermen and women, and ordinary people to monitor marine plastics in polar regions and around the world. On the 5 Gyres SEA Change expedition, I’ll be conducting a test on #BabyLegs vs. Manta Trawl on our journey from Bermuda to New York City to see how they compare. If #BabyLegs holds up against to the more expensive technology, then we can start a citizen science plastic monitoring program in Newfoundland, staring #BabyLegs. Research in the north is tough. There are unique physical and socioeconomic conditions in the far north were ordinary equipment just doesn’t work. Most beach survey protocols, where volunteers and/or scientists count plastics that wash up on beaches, assume an eternal summer on a sandy beach. 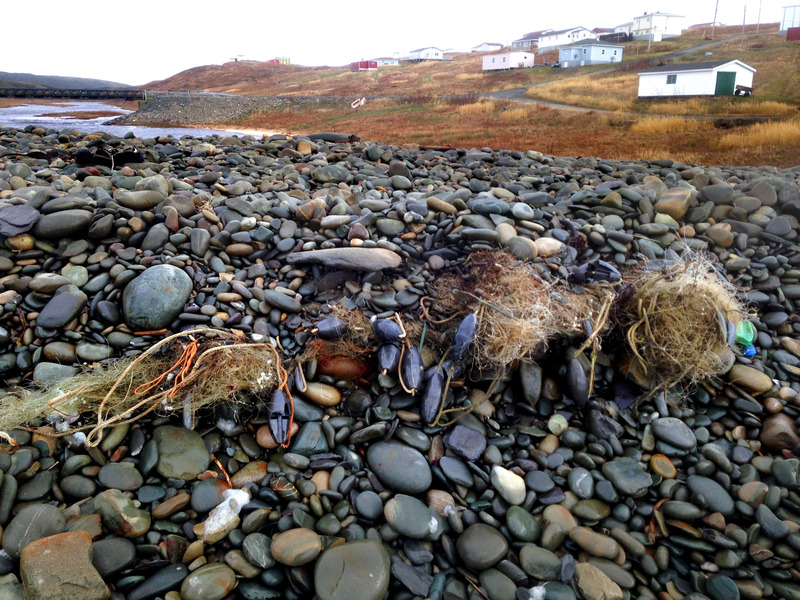 Newfoundland, in contrast, has two months of summer, and the shore is rocky and often covered in ice. Plastics less than 5mm in size, the most plentiful of marine plastics, disappear between rocks, making it seem as though our main type of plastic pollution is large fishing gear. The image to the left is a prototype of P.E.D. 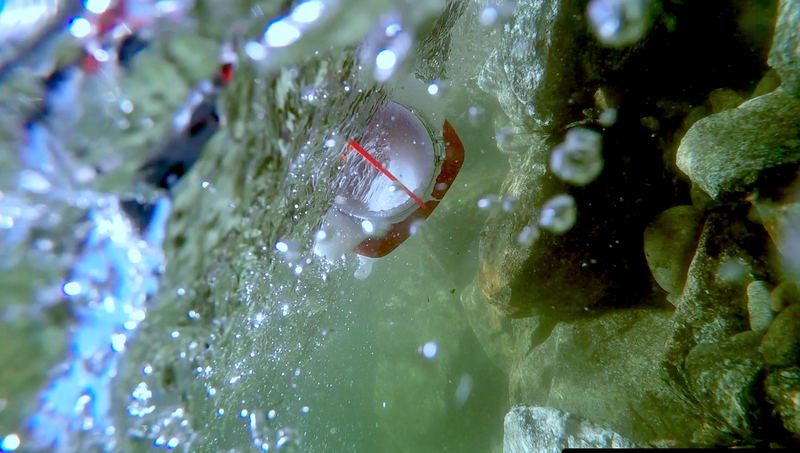 R.O.CK., the Plastic Eating Device for Rocky Ocean Coasts developed by my students: Cian Kavanagh, Colin Grenning, and Nicolas Brouard-Ayres. It’s designed to catch small plastics that disappear between rocks. 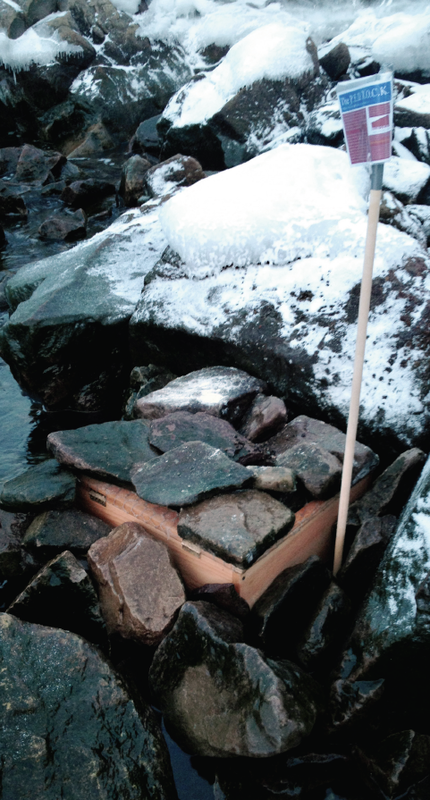 The top of the box has a wide mesh that lets them enter the box when they fall between larger rocks, and a fine mesh at the bottom of the box lets water through, but captures the plastics. Additionally, the province of Newfoundland and Labrador has 29,000 kilometers (18,000 miles) of coastline, about twice that of the entire United Kingdom. That’s a lot of area to cover for a scientist. Most of the people living outside of the major city in the province, St. John’s, do not have regular access to income or supplies, and they depend heavily, or even exclusively, on the ocean for their livelihoods. This context means that we have to build technology that can withstand harsh weather and ice, and that is low-cost and accessible so it can be built and used by people along the province’s extensive coasts. technologies that can be created with objects available in out-port Newfoundland and then putting the designs and collection protocols for their use online for free, these technologies “leverage tactics […] to question and transform how and who can make credible and actionable knowledge” (Wylie et al 2014: 116). Called “civic science,” this ethos mirrors the scientific politics of groups like Public Laboratory for Open Technology that develop and share “open source hardware and software tools and methods to generate knowledge and share data about community environmental health. Our goal is to increase the ability of underserved communities to identify, redress, remediate, and create awareness and accountability around environmental concerns.” It’s no coincidence that #BabyLegs and P.E.D. R.O.CK have whimsical aesthetics—the technologies are approachable and fun, even as they collect scientifically sound data. People feel comfortable coming up to talk to us when we’re in the field, and P.E.D. R.O.CK. has a built-in flag that tells people what the technology is for and how to build your own. 5 Gyres and the SEA Change Expedition also embrace the notion of civic science, where data collection, education, and public engagement come together with the goal of launching action against in the larger problems science is seeking to describe. Plastics and their associated chemicals are almost certainly making their way into food chains in Newfoundland that end with humans. But we don’t yet have local, actionable data to take to policy makers, industry, or solid waste managers. #BabyLegs is one step towards democratizing environmental monitoring in Newfoundland to ensure the health of our bodies, communities, and ecosystems. Dr. Max Liboiron is as Assistant Professor at the Memorial University of Newfoundland. For more information on these projects, including how to make them yourself or become part of the testing phase, see the Civic Laboratory for Environmental Action Research.